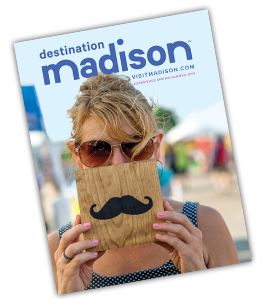 Tourism Takeover in Madison for National Travel & Tourism Week! In honor of National Travel & Tourism Week, we wanted to convey a sincere thank you to our industry partners who deliver amazing destination experiences, day in and day out. To do that, we decided we needed to step into someone else’s shoes. We needed … a Tourism Takeover. Over the past few weeks, we’ve struggled to learn new skills and laughed at ourselves as part of the process. But most of all, we’ve had a lot of fun working with a handful of our hospitality partners to gain added appreciation for the dedication that goes into making Greater Madison so memorable for our visitors. Thank you for all you do. It’s a pleasure working with each and every one of you! National Travel and Tourism Week—America&apos;s annual salute to travel and tourism—was established by a congressional resolution in 1983. This week of events serves to champion the power of our industry.